The other day while in Orlando, I decided to take my son to check out the Go Karts, at Fun Spot. They have 4 adult tracks, and I have heard they were a lot of fun. When we arrived and started racing, all we heard about the excitement was accurate. There were almost no lines on this blistering day, full of humidity. The tracks were great, and we only got in trouble once for trying to spin each other out. After hours or horsing around, I asked my son if he was hungry and he said yes. We needed to escape the 96 degree heat anyways and get some air conditioning. When inside we noticed they had some pizza, it was something they called Perky's Pizza, so we decided to give it a go. We paid and sat down, where I had full view of how the pie was made. The crust was par baked, and as she applied the lite amount of sauce to it, and sprinkled what looks like some cafeteria style cheese on it, my hopes that this would be a good pie immediately diminished. When the pie came out of the conveyor belt, I listened to the sound that the crust made while being cut by the pizza cutter. It sounded almost delightful. I could hear how crisp it was, and suddenly my hopes for a good pie were back in play. I set the pie down which was already on the cardboard tray on the table. I took the first slice and it held up stiff like some of the best pies I have had (please don't get me wrong, this is not one of the best pies I have had, and I want to mention it here before you think I actually believe amusement park pizza is comparable to the best). I took my first bite, and I was quite impressed with the taste. The below average cheese which looked gross as they sprinkled it on from a bag, actually tasted good. The sauce was adequate, and somewhat sweet. The crust tasted great, considering it was par baked. Listen, I am not telling anyone to go out of their way and pay amusement park entry fees to try this pizza, but if you happen to be at Fun Zone in Orlando, FL, this pizza wasn't that bad. It was better than Chuck E Cheese, Domino's and many of the other fast food pizzas. 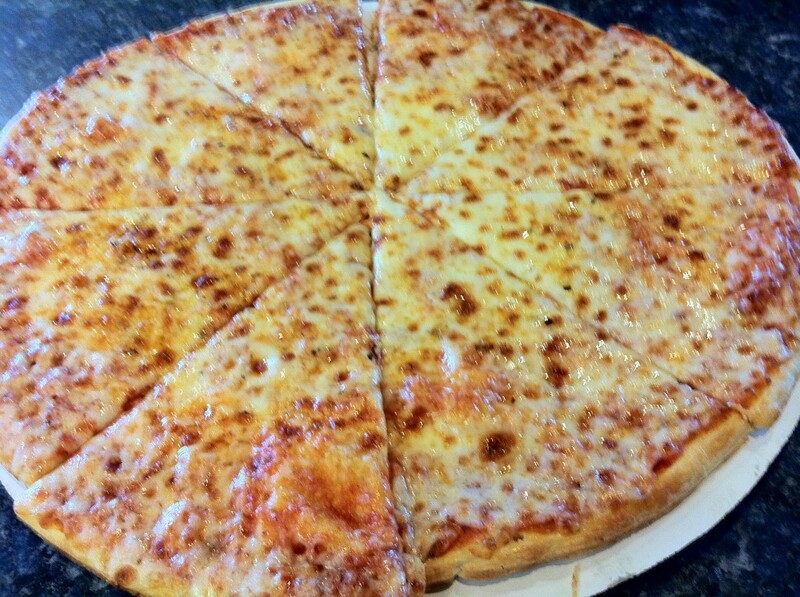 Fun Spot in Orlano's Perky's Pizza gets 4 out of 8 slices.